The Spitfires may not be a band you’re familiar with but their debut Response, as well as their insanely admirable work ethic, has marked them out as one of the independent bands to watch. However, those expecting their minds to be blown by their latest offering will surely be disappointed. Songs that venture too close to their inspirations, songs that are unnecessarily long and an aversion to risk ensure that this sophomore album fails to recreate the magic of their debut. Opener A Thousand Times is a dead ringer for Oasis albeit with a cool haziness encasing the melody and is the first to grow tiresome due to its unnecessary length. Last Goodbye follows Elbow’s formula of euphoric melody contrasted with downbeat lyrics to great success while Day To Day introduces a darker tone to the album. The true change of tone though comes with Open My Eyes and, although the acoustic guitar and sound effects of rain falling is a tad too cliché, it doesn’t fail to sweep you along in the emotion that’s created. On My Mind offers a return to the status quo before the inspired I Don’t Even Know Myself changes the direction once more. The steady drums and usual bass riff give way to interludes laced with reggae and ska inspirations and these interludes are snatched away too soon. It’s a theme that runs through the album; the boring drums are suddenly made to gallop on The Suburbs, creating a sense of urgency and excitement, before they too are taken. Elbow-style strings are used on Return To Me, possibly the most charming on the album, before On My Mind (Reprise) revisits a song that was already forgettable. The Spitfires saved the best for last though as closing song A Better Life offers a Spanish-infused hazy tune that perfectly melds with the wistful vocals of frontman Billy Sullivan. It’s a shame that this album falls so flat though the work of the band and their label, Catch 22, should be commended. While it fails to ignite any fires, it does show promise for their next offering. 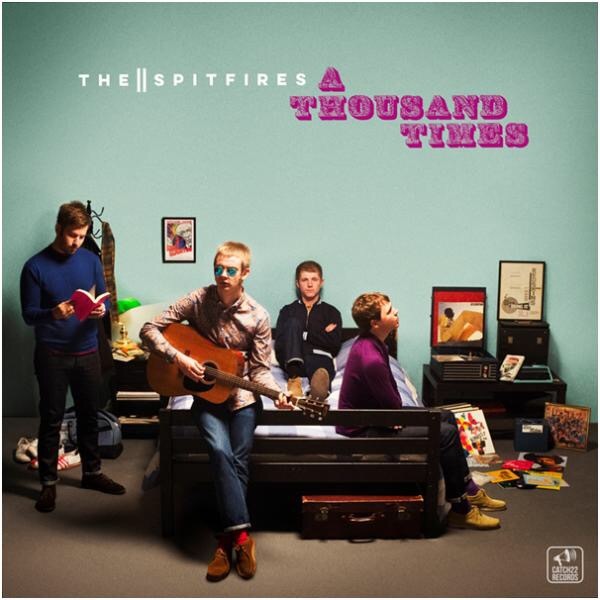 ‘A Thousand Times’ by The Spitfires is released on 26th August on Catch 22 Records.